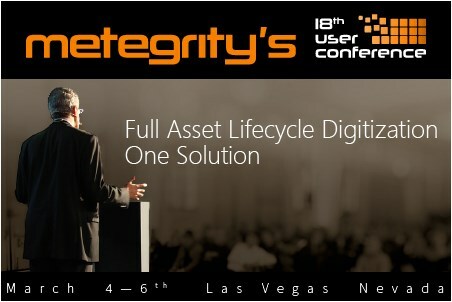 Metegrity, a global leader in software for construction quality and plant/facility asset integrity management, today announced the kickoff of its 18th User’s Conference. The event will take place in Las Vegas, Nevada from 4 – 6 March, 2019. It will be Metegrity’s largest educational and networking event to date. It is a three day gathering for owner operators, clients, and industry professionals. At the conference, Metegrity will unveil their new product lineup and solutions to help operators digitalise its assets, enhance processes, and gain actionable intelligence from their data. The event has been designed to benefit Metegrity customers, partners, and interested prospects alike. With speakers ranging from thought leaders in the sector to system users, the conference provides an ideal platform to learn best practices, discover the latest technologies, and implement digitalisation. It will focus on strategies for leveraging the Internet of Things to maximise profitability and prolong asset lifecycles. It is the ideal destination to explore firsthand the latest technologies in data and integrity management for plants, pipelines, and facilities. Registration is now open. To learn more about the conference or to register online, click here.